Leap Technologies Opt-Diss UV Fiber Optic Spectrometer Symphonyâ€“Solo-Fast . 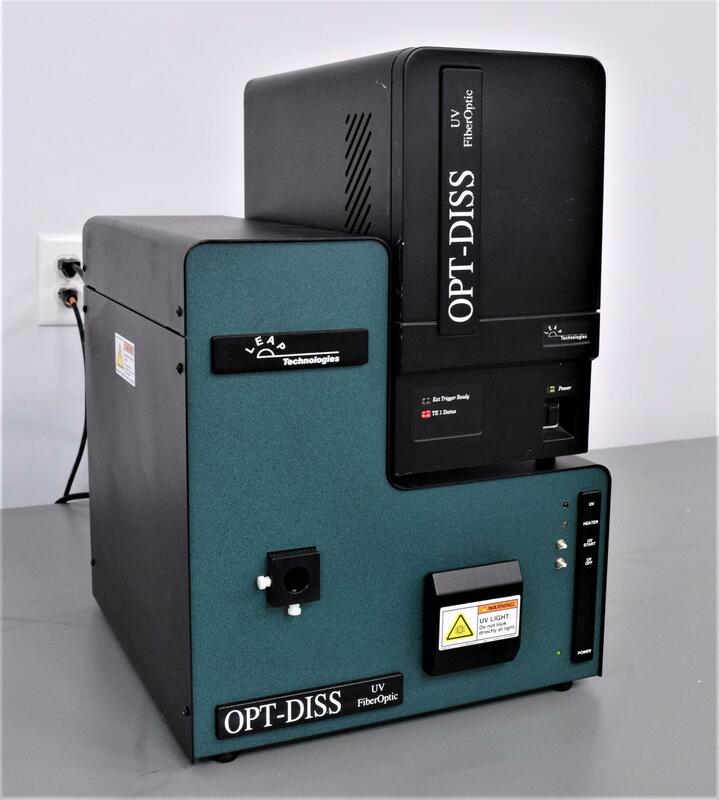 New Life Scientific, Inc.
Our in-house technician did inspect this Leap Technologies Opt-Diss UV Fiber Optic Spectrometer System; the technician was able to power it on, the UV light warms up and then turns on. No further testing could be done we do not have the required software and fiber optic cables.